1 Where does the speedometer cable connect to the transmission? Where does the speedometer cable connect to the transmission? The speedometer cable has to be connected to the transmission to work correctly. For most cars, it will go through the transmission up to an area behind the instrument panel. This is where it will connect directly to a gauge. It might vary with some new car models on the market that will a different configuration. You should compare the old cable with the new cable before installing the new speedometer cable. Compare how this? You need to put them side by side to see the length and drive ends on each cable. What is the standard for collation? That is: both need the same length and other hardware needed to work on your car. You have to transfer any necessary hardware from the old cable to the new one. This can include the mounting brackets, support brackets, and grommets. Proceed to install the replacement speedometer cable back to the transmission through the housing. It is the opposite of what you would do when it comes to removing it. Make sure that it is installed properly and no kinks are on the cable. The bends or kinks might make the cable not to work properly. The cable has to go back to the speedometer for display. This means installing the grommet on the firewall to get the cable in its place. You need to use a small amount of grease to easily get the grommet into the firewall. A flat blade screwdriver could also help with getting the grommet lip well-seated. The cable now has to be install in the speedometer housing. Get the cable ends correctly engaged to the drive gears. Tighten the retaining hardware so that the cable does not come off easily. If you had your car on jack stands, then get the jack to help with removing the stands to get the car back on the ground. Take the vehicle for a test drive to check out the performance of the newly replaced speedometer cable. Start by jacking the car up on jack stands for easy access to the speedometer cable from the transmission. It is important you get to place the car on jack stands rather than only the jack. The jack stands can withstand the weight of the car for longer period as compared to the jack. You still have to place wheel chocks on the wheels while they are on the ground. This should help prevent the car from rolling back and forth or falling from the jack stands. Proceed of how to remove the speedometer cable from the transmission. You would find that the cable is retained by combination of bolts or nuts, or a simple retaining clip. With the retainer removed, you can pull the speedometer housing from the car’s transmission. During this process, you are likely to loose some transmission fluid. You should place a drain pan below the transmission when handling this process to catch any of the lost fluid. Follow the cable to remove it at the speedometer. You have to also remove the retainer that holds it in place at the speedometer. Accessing the back of the speedometer might be simple while other car designs might take time. Consult the car repair manual to understand how to remove the cable. With a screwdriver, you can get the cable free from the grommet passing the cable through the firewall. Remove any additional support brackets that might still be holding the speedometer cable. By now you should easily pull the speedometer cable from the car. 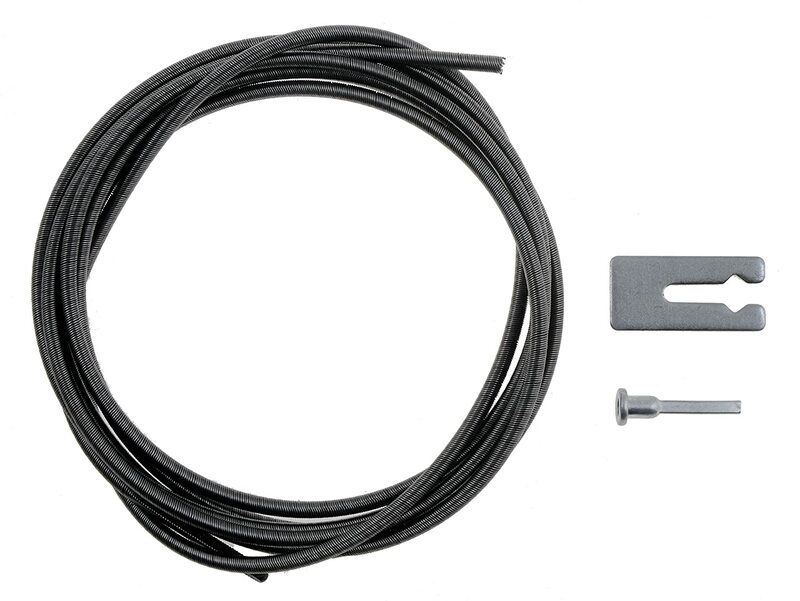 If you had issues with your speedometer cable, now you know what is needed and the process of how to remove the speedometer cable from the transmission, and the way to install it on. The overall process is simple and you should be done in no time. You should not have any trouble having the cable changed, as it is a simple job you could do at home. Just make sure that you keep in mind some warnings of working under the car to remove the cable from the transmission.